So who’s currently a stressed out train wreck? It’s kind of like my default setting these days as I’m working multiple gigs to save for a house plus have a li’l extra to hit up the Philippines, hopefully later on this year. Stress generally isn’t my friend, but hey, what can you do. 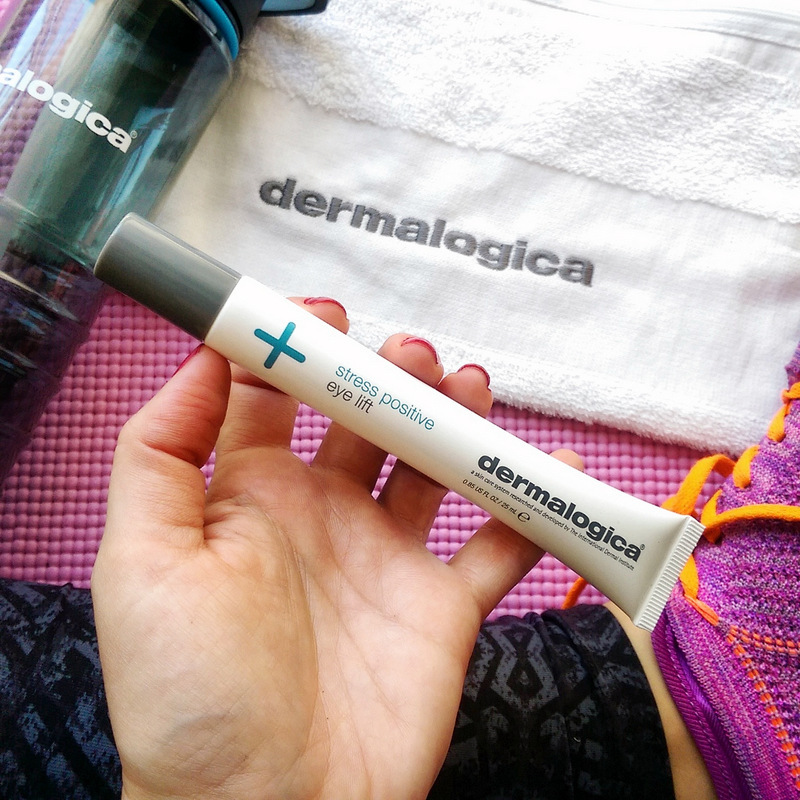 According to Dermalogica, however, stress isn’t always a bad thing. They say you get two types – eustress, which can be positive and distress which is not. I don’t feel like I have to fill you in on distress. If you’ve every tried to get Telkom to come on over and install an ADSL line you’ll know all about it. Eustress, on the other hand, is more interesting in that it requires a perception shift that sees you view the ‘stress’ of a tricky situation as a challenge and using it as a motivator to focus our energy and improve our performance. An example? Starting a new job and feeling nervy about it, but using it to do good things like upskill before you start. 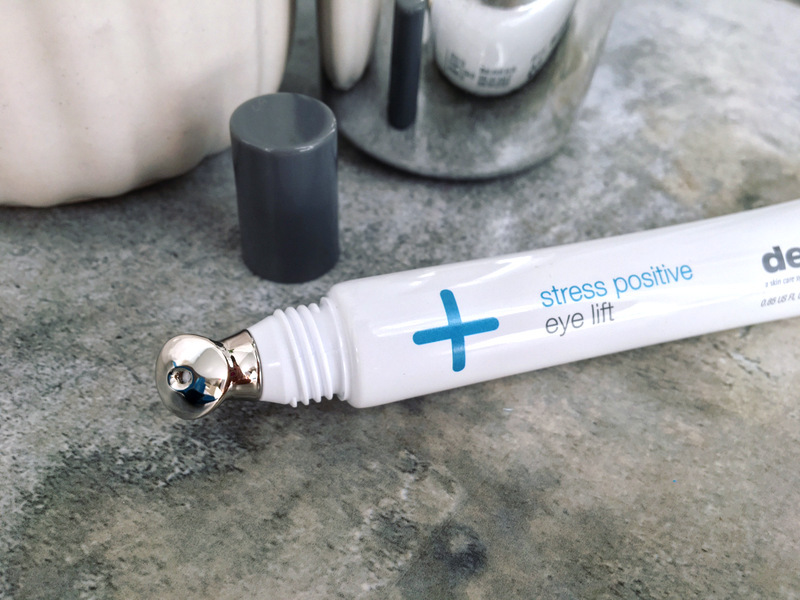 Anyway, it’s eustress that’s inspired Dermalogica’s new eye treatment, Stress Positive Eye Lift (R1 210). See how the box folds out to reveal a ‘+’? A ‘use-it-when-you-need-it’ instant eye improver, Stress Positive aims to help blitz the signs of a stressed out eye, namely dark rings, puffiness, dullness and the dreaded droop you might get when you’re feeling moeg. So, what’s in the mix? A cooling, cream-gel formula, it relies on wild indigo seed to illuminate, fermented yeast and hyaluronic acid to lift plus sea water and arctic algae to de-puff. I don’t know much about wild indigo seed, but do know that fermented yeast is a nice temporary tightener (it contracts to pull your skin taught as it dries) and mega-moisturising hyaluronic acid is stellar for plumping. As far as algae goes (also known as seaweed), it’s a good source of antioxidants with anti-inflammatory properties. Like I said, I’m a stress ball right now and that means I’m not getting as much sleep as I should so there are days when I wake up with puffy eyelids and I used one of them to test drive new Stress Positive. To apply it, there’s a bit of a method that’s easier to show you than it is to type. Being a lazy cow, I used the special massage method a few times and have since gone rogue, applying a few dots around my eyes, swirling it around with the metal tip (which really does feel lovely and cool) and then leave it on for a few minutes while I reply to e-mails before massaging in any excess. I’m actually ‘wearing’ it right now as I type and, even though the cooling tip isn’t on my skin any more, it really does feel nice and cool on my skin. At first I wondered if they were using something like menthol to get that right which would be awful as menthol’s a top not irritant and not suited for eyes but it turns out Dermalogica’s cleverer than that as there’s nothing minty, eucalyptus or camphor-related in the formula at all but it still manages to feel fabulously ‘cool’. Results-wise, it doesn’t help with my dark circles but that’s because mine are caused by the fact that the skin under my eyes is super thin (thanks dad!) so you’re always going to see the vascular stuff through it unless I apply concealer. What it does do, however, is soothe, speed up the de-puffing process and minimise the look of any fine dehydration lines. After using it, my eyes really do feel a lot more ‘awake’. I reckon this is a nice pick for anyone who loves pampering masks, but now wants to extend the treat to their eyes. This is the kind of thing I’ll take with me when I travel and reach for when I wake up feeling tired (or hungover!) but need to look and feel better. But ja! 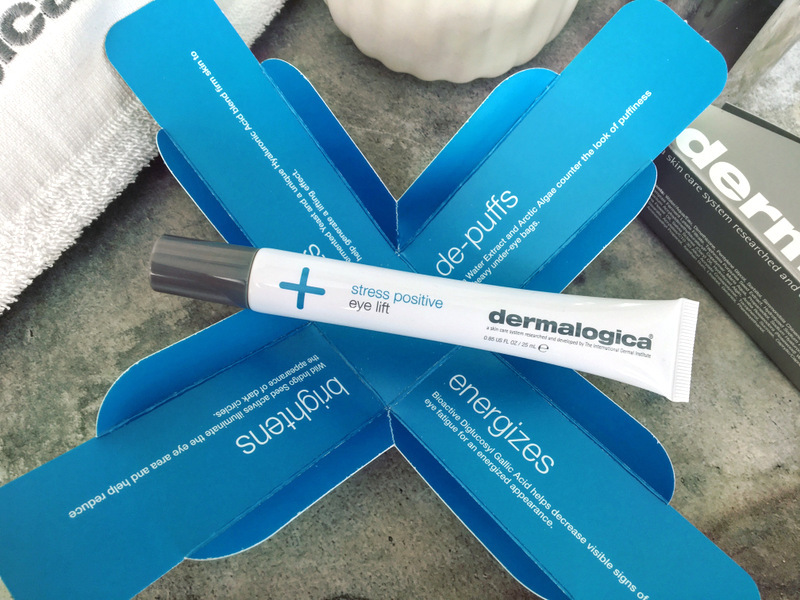 Let’s get to the bit I know you’re excited about… I’ve got two Dermalogica Stress Positive Eye Lift tubes to give to one lucky winner so you can hoard it all for yourself share it with a bestie. To enter, simply take Dermalogica’s super quick, surprisingly fun stress test to see how you handle it. (It turns out I’m a ‘fighter’) and leave me a comment below telling me your results. If you’re on Instagram, there’s another way to enter too! Simply follow @DermalogicaSA and tag them as well as me (I’m @lipglossgirlxoxo) in a pic of how you handle stress, be it with a quick workout like me or a marathon session of Vanderpump Rules like my flatmate. Oh! And don’t forget to use the hashtag #stresspositive. When I’m stressed I like to do Pilates workouts I find on YouTube in my lounge and now I have a Dermalogica water bottle to fill with booze, my other fave de-stresser. This competition is open to South African residents only and closes on 15 May at 5pm. A winner will be drawn from both pools of entry. This competition is now closed. Congrats to winner Tracy Jacobs. I’m a seeker. I like being at the heart of things and I strive to make myself involved in everything everyone around me does. This puts a lot of pressure on me. I love the advice though: Ask someone for help with a task, then let them do it. I am a fighter too apparently! Hmm…it appears that I am an OBSERVER. Makes me calmer I suppose! Make Love not wrinkles, I’m a “fighter” according to Dermalogica. Looks like I’m a Seeker! I am an observer. Pretty accurate I think! I’m a fighter 👐 which is what I need to be in the corporate jungle! On the road to becoming an admitted attorney so naturally stress forms part of my day. I also have the same dark circles under my eyes – must be due to thin skin as well 😊 would love to try this new product out! I am a seeker ! ( apparently) but I do know I need this product ! I am a giver….so true! The thing I hate about myself…. I got ‘Seeker’. This test is scarily accurate! I loved taking the test! And the results were so accurate! I’m an observer 😀 I will be taking the stress positive tip and jumping around this afternoon! I am a seeker. I am so busy and stressed with a big project at work right now, I do need an eye boost and to learn to be open to others who can help me. I’m a seeker apparently, that test was eerily accurate actually! Thanks for the opportunity to enter. I’m a seeker. Cool test. Ps I’ve just been on a holiday to the Phillipines- mind blowing. Hope you’re making a stop at Port Barton? That was my favourite. You’re going to see beauty like you’ve never seen it! I can’t wait! Boracay is on my list but I’ll google Port Barton tomorrow. Thank you! I’m a seeker and I can’t tell you how accurate that is of me! Insane! i am a seeker! loved the positive feedback to help with this day! I’m a seeker. Great competition, holding thumbs. i’m an observer. which is soooo accurate. the test/app is super well designed, kudos to whoever did it! I am a fighter. Spot on. Hoping to win this amazing prize. I think it’s telling me to sleep in my workout clothes because I tend to bake yummy things when I’m stressed! I am a seeker (I recon in Quidditch that would be true too). HAHA pretty accurate that I rely on myself and people tend to think I am a know it all. I do too! I’m an observer😊 I always need to take things in first before I react. Till then my fingers are crossed & hoping to win!